Toshio Tanahashi was born in 1960. At the age of 27, he decided to serve as an apprentice at the Gesshinji Temple in Shiga prefecture, near Kyoto. A nunnery famous for its abbess’ excellent SHOJIN cooking, he trained there for three years. In 1992, he opened his restaurant Gesshinkyo in Tokyo. In 2000, Vogue Nippon ran a series of articles featuring his cooking and he was invited to demonstrate his style of cooking at the Victoria and Albert Museum in London. In the same year, Tanahashi’s story was dramatized for a TV series entitled “Honmamon” (The True Thing) by NHK Broadcasting, and he introduced Chinese traditional SHOJIN style from China in a program of NHK BS. Tanahashi collaborated with a French chef at Hotel Okura in Tokyo to widen the possibilities of vegetable cuisine in 2003. In the same year, he gave lectures and demonstrations at the Japan Society in New York and Boston. Tanahashi has been featured by The New York Times, The Sunday Times, The Japan Times, The Financial Times, and Telegraph Magazine. 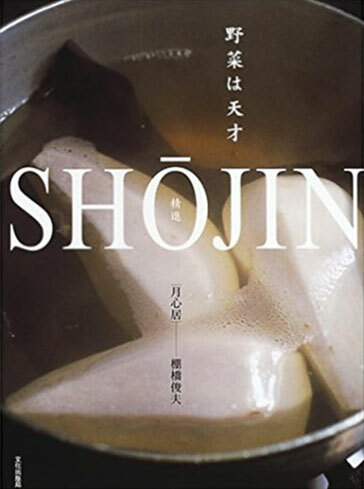 He is the author of SHOJIN (Bunka Publishing Bureau, March 2002), a beautifully photographed recipe book, in Japanese, which outlines his philosophies of SHOJIN cooking. After he closed Gesshinkyo in 2007, Tanahashi established ZECOOW Culinary Institute in February, 2008.He teaches "culinary arts and design("Shokugei 食藝")" as a director at Kyoto University of Art and Design since April, 2009.He has also published books such as “SHOJIN-Wonder of Vegetables (Hard cover)” (2003) and “The Power of the Vegetable, the Time for SHOJIN is Now” (2008) to spread SHOJIN cooking. "SHŌJIN - Wonder of Vegetables"
Seasonal vegetables and konbu seaweed that are essential for the Shojin cooking are gift from nature. Shojin style is traditional Japanese home cooking and in fact is the treasure of 'slow food'. It is simple yet powerful way to cleanse our body and spirit, and recharge our energy! This book shares a variety of recipes such as sesame pudding and other unique vegetable dishes. It is perfect book of awareness for those who wish to live consciously in the 21st century! "The Power of the Vegetable, the Time for SHŌJIN is Now"
The 21st century is the time of the Shojin style with vegetables! 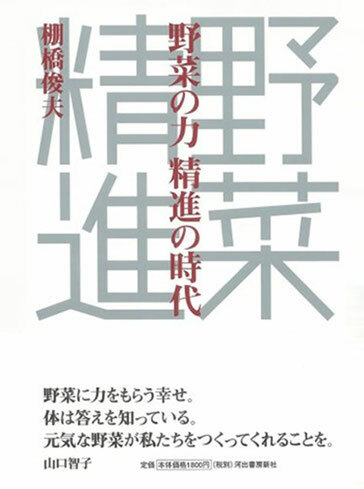 The author introduces the suitable life style of Shojin that has been forgotten even among Japanese people. To find freedom in constraints is its unique wisdom, which art is presented through the Shojin food.